Pheasants Forever & Quail Forever announce Joe Hosmer and Brett Reber as newly elected members of the organization’s National Board of Directors. Sharing a lifelong passion for wildlife habitat conservation and upland hunting, Hosmer and Reber now serve on Pheasants Forever’s 18-member board, which meets quarterly and oversees the operations of Pheasants Forever, Inc. & Quail Forever. As a dedicated outdoorsman, Joe Hosmer has spent his adult life fighting for wildlife habitat conservation on state, national, and international stages in various positions with other non-profit organizations and state boards. Of particular note, his leadership has been evidenced as a serving member on the Safari Club International Board of Directors in different capacities since 1994, a member of the Board of Directors for Maine’s Fish & Wildlife Conservation Council in 2004, and the serving president for the Safari Club International Foundation since 2010. Highlighting a successful career in business, Hosmer was the founding president and CEO of MOUNTAIN, LTD. – a telecommunications, staffing, and direct hire firm – founded in 1979 and sold in January of 2007 before becoming an independent consultant and president of Durham-Hunt, LTD., a real property corporation which he owns with his wife, Sandy. They now reside in Hunt, Texas, spending their summers along the coast of Maine where they resided for more than forty years prior to 2006. When not fighting for wildlife, Hosmer can usually be found motorcycling, as he is an avid motorcyclist, sidecarist, and adventure traveler. Rounding out an impressive list of life achievements, Hosmer is one of a select few candidates who has received three Presidential Awards from Safari Club International, was recognized in 2004 with the Ronald Reagan Republican Gold Medal for his support of conservative initiatives within the business community, and won the 2005 “Business Man of the Year” award in the state of Maine. Hosmer is a current member of both Pheasants Forever & Quail Forever. No stranger to the local model of “The Habitat Organization,” Brett Reber is a life member of Pheasants Forever and an active participant for the McPherson Area Pheasants Forever Chapter in Kansas. Reber grew up in a hunting family from Ellsworth, Kansas, before receiving a bachelor’s degree from the University of Kansas in 1983 and his law degree from the University of Tulsa College Of Law in 1986. Working as an attorney at Wise & Reber, L.C.in McPherson, Kansas, his primary practice is providing advice to clients with emphasis in contracts, business acquisitions, and litigation matters. Active in state and local community affairs, he is a trustee of the Julia J. Mingenback Foundation, past president and director of the McPherson Industrial Development Company, and past chairman and director of the Kansas Development Finance Authority, as well as the Kansas Housing Resources Council in Topeka. Additionally, he serves on the Board of Directors for Peoples Bank & Trust, McPherson Industrial Development Company, Farmers Alliance Mutual Insurance Company, and the Bradbury Company. Reber also serves as president and director of McPherson Valley Uplands – a 46-acre Outdoor Education Center near Conway, Kansas, designed for youth to learn and develop outdoor skills and an appreciation for wildlife and conservation. A cooperative effort between McPherson Area Pheasants Forever and CHS Refinery-McPherson, Reber believes the area serves as a testament to the power of Pheasants Forever & Quail Forever’s local model. The area has served as a conservation learning center to countless youth participants since its creation in 2008. Reber was recently elected to the Pheasants Forever Hall of Fame in Kansas, and still spends as much time as possible pursuing upland birds throughout the state. He currently resides in McPherson with his wife, Kathryn, and has four grown children, John, Callie, Joe, and Luke. Pheasants Forever, including its quail conservation division, Quail Forever, is the nation’s largest nonprofit organization dedicated to upland habitat conservation. Pheasants Forever and Quail Forever have more than 149,000 members and 700 local chapters across the United States and Canada. Chapters are empowered to determine how 100 percent of their locally raised conservation funds are spent; the only national conservation organization that operates through this truly grassroots structure. Since creation in 1982, Pheasants Forever has spent $634 million on 502,000 habitat projects benefiting 14.1 million acres nationwide. This week I talked to SCI Foundation President Joe Hosmer about his work with the argali sheep and his vision for the future of his organization. This interview with Safari Club International Foundation President Joe Hosmer is part of OutdoorHub’s Leaders of Conservation series, in which we sit down with leaders of the North American conservation movement to learn more about the stories behind their organizations and people. In 1972, two safari clubs—one in Los Angeles and one in Chicago—decided to join up and create Safari Club International (SCI). Over the next four decades, SCI reached out to independent safari clubs across the globe to combine sportsmen in an unified organization. Many people think it was during this time that the Safari Club International Foundation, the conservation branch of SCI, split off from the original organization. Joe Hosmer, president of the SCI Foundation, said that’s not exactly accurate. The problem of having similar names is that, of course, many people tend to get the groups mixed up. But the goals behind the organizations are self-evident. Although they are different legal entities, Joe said the partnership between the two groups is a harmonious one. Joe is a 15-year veteran of SCI Foundation, spending 10 of those years in the group’s conservation committee. To many, Joe was the obvious choice when he was selected as the Foundation’s president in late 2010. A lifelong hunter and conservationist, Joe also brought the skills he learned from a successful career in the telephone industry. “It began many, many years ago when I got out of college,” Joe started with a chuckle. He had followed in his father’s footsteps and went into telecommunications, rising through the ranks and ending up in places like Central America and West Africa as a design and engineering contractor. While training personnel in Liberia, Joe decided to start his own company. “Twenty-eight or 29 years later, that little corporation had 500 engineers on each continent,” Joe said. He eventually traded the corporate office for fieldwork. “At an SCI meeting I raised my hand one time and said, ‘Jeez guys, I sold my company so I got a little time on my hands. Is there anything I can do to help?’ Somebody asked me if I did a lot of work overseas and I said yup. They asked me if I was used to dealing with foreign governments and protocols and I said yup again. 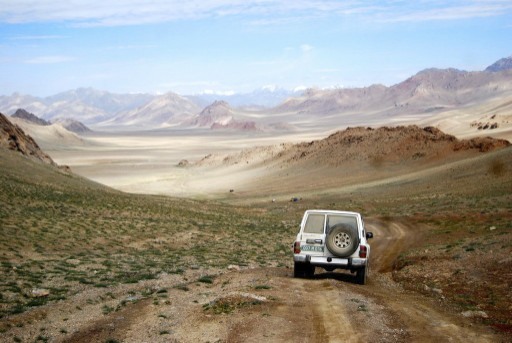 When he was the Foundation’s Conservation Chairman, Joe and Dr. Bill Moritz led field teams to Tajikistan for sheep surveys in early 2010. The Foundation’s focus was on the region’s argali sheep, also known as Marco Polo sheep. Driving Toyota Land Cruisers at an elevation of 17,000 feet, the team conducted sheep counts and calving studies in partnership with the Tajik government. Due to decades of wild sheep management, Tajikistan has the world’s highest concentration of argali sheep and a remarkably stable population. A significant portion of the conservation funds used to protect these animals from threats like poaching or habitat loss comes directly from hunters. However, Tajikistan halted hunting of the animals in 2008 and 2009 despite a minimum population of 24,000 wild sheep. Ironically, this move threatened to remove the protections that the argali sheep enjoyed. As a result of the SCI Foundation team’s surveys, the Tajik government reallowed hunting of the argali sheep. “That was one of my fondest successes,” Joe said. 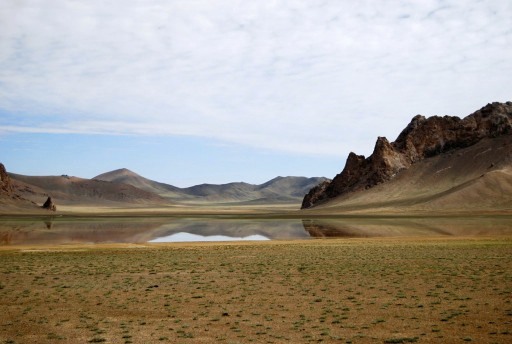 For the last three years, the Foundation has sent teams to Tajikistan twice a year to ensure the health of the argali sheep. With 60 landmark conservation projects, Joe intends to lead the Foundation through one success at a time. But he still finds time to travel and hunt. Later this year Joe will be returning to the high altitudes of Central Asia, but his vehicle of choice will be a little bit different than the last time he went. And this time, he won’t have to count sheep. We would like to thank Joe for taking the time to talk with us. Catching up with Joe Hosmer wasn’t easy. His e-mail auto message said that he was in the field–that could mean any place in the world. Finally, he texted back that he was “chasing dogs that were chasing pheasants in South Dakota,” but would get back soon. At least he was on the same continent. When we did connect, Joe first sent me pictures of his Gordon setters, which are almost like extensions of his soul. 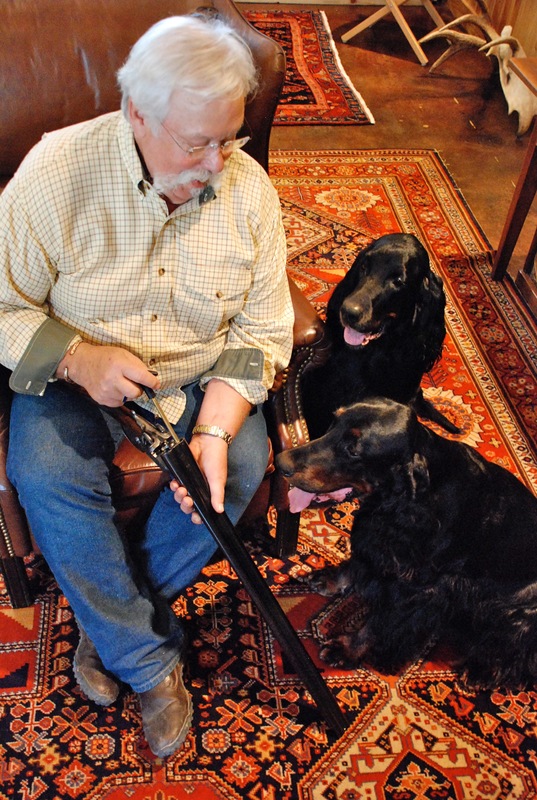 This is a man who deeply loves hunting dogs and hunting in general, and now, after retiring from a very successful career running an executive search business, he is President of Safari Club International Foundation (SCI Foundation), guiding something very new, special and sorely needed by the hunting community. How does one get to do what Joe Hosmer does? Joe Hosmer grew up in rural southern Vermont on a farm that raised standard-bred racehorses and Springer Spaniel grouse hunting dogs. For sure, hunting definitely is in his blood. I asked him about how he got started and Joe spun a good yarn about his first deer. On the farm, hunting was a way of life. “We harvested deer and grouse just as we would pick apples or wild strawberries. Hunting deer, however, was a special event. It was, and probably still is, a social time for hunters that started in early November and culminated on Thanksgiving weekend. “Our family had a deer camp a couple of towns over in a place called ‘Popple Dungeon’. The area was named for the quaking aspen trees that grew so thickly in the area that the woods always seemed dark, due to the shade from the leaf cover and being in a deep valley. It was, by Vermont standards, big country. “Our deer camp was an old house trailer with a rough porch and mudroom tacked onto the front. My father was involved in the telephone construction business and would use deer season as an excuse to bring his clients into the social mix as a way of thanking them for using his construction crews. Probably not a politically correct gesture these days, but it the 50s and 60s it was what it was. “Eventually our deer camp caught the attention of several outdoor writers who were friends of friends. They would even join us for a few days and we would marvel at how our little camp had made the sports section of the New York Times. Lee Wolfe, Jack Carlin and others became family regulars during deer season. “One year, while I was still in grade school, I was taken out of class on a Thursday so I could be with the ‘men’ in Popple Dungeon for Friday and Saturday. My first deer rifle was an old 44-40 Winchester lever action. The bluing had worn off of it so it almost shined from all the wear. I proudly carried my .44-40 while sneaking through the woods and spending hours atop huge boulders, just waiting for an unsuspecting whitetail buck to pass through my domain. I was always assigned to one of the men so I wouldn’t wander too far astray. I thought this practice was ridiculous since I would travel these woods in the summertime on a regular solo basis, only accompanied by a dog or two. “My first weekend at deer camp was a rite of passage unto itself. I was now one of the guys. I could spit, drink coffee, hear dirty jokes, and not shower, all without getting ‘spoken-to’! What a wonderful place to be! “Well, my first weekend came and went and the Vermont deer herd was never bothered by our presence. Mom came on Sunday and dropped off a box of food and supplies for the hunters and picked me up to go home. There is no Sunday hunting in Vermont and it was a day to resupply and say good-bye to some guests and welcome newcomers. “Monday morning came and I got up early and did my chores of feeding and watering the horses. We kept a few horses in what we called the south pasture, which was a short walk to the gate from the back of the barn. I would fill a couple buckets, one with oats and the other with sweet feed, lug them down to our homemade feeding troths, call in the horses and make sure they were all okay. “I got about half way down to the gate when I noticed a buck chasing a doe through the orchard, several hundred yards away. I set my feed buckets down and sneaked back to the barn. Once out of sight of the deer, I bolted to the house. I yelled some headlines to my mother as I grabbed my .44-40 and reversed my route. Once in the barn I climbed to the hayloft where I could get a better view of the orchard. I peeked out the loft door and confirmed that the buck was still there. “Scooting back down the loft ladder and out to the opposite side of the barn from the deer I made a plan. I slipped up along a low spot of land out of sight from the deer. I would occasionally crawl up to a point where I could peer over and see the deer, as I had to reassure myself that they were still there. Finally, when I thought I was close enough, I lined up the open sights on the huge buck and let loose with the old .44-40. I don’t know if I connected with that first shot or not, as I just kept shooting until the deer wasn’t moving anymore. I sure didn’t want to lose him! “As I approached him he seemed like the biggest deer ever (whereas in hindsight, my monster buck was a rather young and small, eight-pointer). “Now, as dad would say, ‘the work begins.’ I had never field dressed a deer before, but had seen it done in my young past once. Unsure of myself, I ran home and told mom of my victory and of my dilemma. It was now too late to catch my bus for school and the horses in the south pasture had still not been fed. Mom, unafraid of anything, still knew her limits and field cleaning a deer was not in her basket of skills. Dad was still at deer camp with no telephone and I was willing to try, but there was clearly hesitation. Mom sent me out to finish my chores and give her a chance to come up with a solution. I was done in record time and back in the house awaiting her decision. “Soon a car arrived in our yard and it was mom’s friend and my school nurse, Cherry Bleakney. Grabbing everything we thought we would need, I led mom and Cherry to the orchard where my deer laid. I remember that I was so relieved to see him still there as I was sure he would regain life somehow and run off. Cherry was a longtime friend of the family and a hardy lady of New Brunswick origin; a hunter in her own right. “Between the three of us we took care of a very shot-up deer. We hung it in the barn and Cherry drove me to school, after a quick shower and change of clothes. We dealt with getting some tenderloin off the deer and after school mom and I drove to Popple Dungeon to give it to dad. Since there was no phone at deer camp, our arrival was quite a surprise and delight to everyone. We all had a few bites of tenderloin from the cast-iron frying pan and I reveled in my fifteen minutes of fame as a big game hunter. I think mom and dad were pretty proud of their eight-year old grade-schooler, too. From his start as an eight-year-old Vermont deer hunter, Joe became the founder and former CEO of Mountain Ltd., a Maine-based global engineering and technical search firm. The business, which boasts over 500 professional specialists, specializes in business staffing, telecommunications engineering solutions, remote area expertise, extensive third world and LDC experience, high-end headhunting, for-profit and not-for-profit business development. Joe still dabbles in business consulting, when not working with the SCI Foundation (which is like a full-time job), and squeezing in as much hunting as he can. To give you a feel for his schedule,according to Joe’s blog, this has been his schedule for the last couple months: July 17 in Maine for the summer, August 3 in Dallas conducting interviews, August 22 in Jackson Hole for SCI Foundation Board meeting, September 14 in Botswana for African Wildlife Consultative Forum, October 1 in Maine for grouse and woodcock season, October 17 in Texas, and October 24 in South Dakota for pheasant hunting. Joe assures me that he has plenty of time for other recreation, too. When hunting season ends, and he is home, you may find him riding the backroads of the Texas Hill Country on an Adventure motorcycle or driving a Russian-built sidecar. When he was recently inducted into the Telephone Hall of Fame, Joe was described as an adventurer, who happens to also be a remote/international/arctic traveler; big game and upland bird hunter; former professional motorcycle road racer and competitive Land Rover enthusiast; published photographer and technical rock climbing instructor; who also happened to build and run corporations and serve on many corporate and public service Boards of Directors, who has no more spare time and is flunking retirement! As a world-wide ambassador for hunting, I asked Joe what he felt needed to be done to save hunting. Reflecting on the future of hunting, Joe, who recently appeared on a national television show talking about “how green hunting is,” says, “we hunters are often our own worst enemies. The different factions of hunters fighting among ourselves-different groups, different kinds of hunting-is self-destructive. 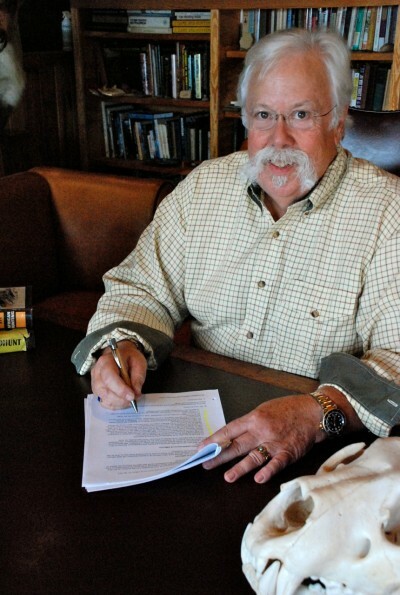 As President of the SCI Foundation, Joe Hosmer is in a unique position to make a major contribution to developing educational programs that can help save hunting and the web of life that supports wild game. He said that he’s currently hunting for corporate sponsors and philanthropists to help the SCI Foundation really take off. If you’d like to lend a hand, you can contact him via the Foundation offices. Written by: James Swan, Ph.D.
SCI Foundation Contributes $537,590 To Worldwide Wildlife Conservation Projects Over Last 6 Months! Washington, DC – Safari Club International Foundation (SCI Foundation) announced today that it has contributed $537,590 in the past six months to fund worldwide wildlife conservation projects. SCI Foundation strategically focuses funding towards research and management of large predators and their prey, including game species, principally throughout North America, Asia, and Southern Africa. SCI Foundation donated $350,000 to fund multiple predator/prey projects in the U.S. and Canada. Conservation projects include Predator/Prey studies observing rates of white-tailed deer fawn survival in Michigan and Wisconsin, elk survival in Montana, and caribou survival in Newfoundland. The results of these projects will help properly manage both predators and prey in systems where both exist. Donations were also made to wildlife population research and enhancement programs including mule deer in the Eastern Mojave Desert, brown bears on Kodiak Island, black bears in Missouri, and moose in Alaska, among others. The most recent project is a partnership with Alaska Department of Fish and Game’s Kenai Moose Project. SCI Foundation donated $20,000 to learn productivity and seasonal mortality of moose. In multiple African nations, SCI Foundation has given over $123,000 to wildlife conservation and human-wildlife conflict programs. Most recently, SCI Foundation donated $30,000 for the upcoming African Wildlife Consultative Forum, which will be held in Botswana. SCI Foundation also continues to fund lion research in Zambia to improve the accuracy of aging lions in their natural environment. Being able to accurately age lions in the field will assist range states develop appropriate lion harvest regulations to ensure sustainability. “Throughout the year, SCI Foundation contributes over one million dollars to wildlife research, management, and anti-poaching programs. As an international organization, SCI Foundation continues to increase our financial impact for sustainable-use conservation and we hope more organizations can follow our lead,” concluded Hosmer.